17 January 2017 – Since the beginning of the New Year, Saudi Arabia has sentenced or detained several human rights defenders. Within the span of one week, Saudi authorities questioned and detained human rights defenders Ahmed al-Mushaikhass, of the Adala Center for Human Rights, and Essam Koshak. On 10 January, a court sentenced Abdulaziz al-Shubaily, of the Saudi Civil and Political Rights Association (ACPRA), to eight years in prison. Saudi Arabia’s recent detention and sentencing of human rights activists for their peaceful speech and activities is the latest in the kingdom’s ongoing suppression of dissent. On 5 January, Saudi officials from the Criminal Investigation Department (CID) summoned Ahmed al-Mushaikhass to report to the Qatif police station. Al-Mushaikhass was a founding member of the Adala Center for Human Rights, a human rights organization that was forced to close in 2013 over licensing issues. He is also the brother of Yusuf al-Mushaikhass, an activist whom Saudi authorities sentenced to death and whose execution is imminent. On 8 January, authorities transferred Ahmed from the Qatif police station to the al-Dammam police station, where he has been interrogated by the Bureau of Investigation and Public Prosecution (BIP). Three days after summoning Ahmed al-Mushaikhass, Saudi authorities detained Essam Koshak, an independent human rights defender, at the al-Mansour police station on 8 January after he responded to summons from the CID in Mecca. He was ordered to appear before the BIP in Mecca the next day. On 9 January, his detention was extended and he was not released on bail. Officials are questioning him about his Twitter account, which he uses to tweet about human rights in Saudi Arabia, and have not allowed him access to a lawyer. Two days after detaining Koshak, on 10 January, a court sentenced Abdulaziz al-Shubaily to eight years in prison followed by an eight year travel ban. Al-Shubaily is a co-founder of the human and political rights organization ACPRA, which documented human rights abuses in Saudi Arabia while promoting a vision for constitutional reform. As a member of the group, he contributed to efforts to promote human rights by providing support and representation to victims of abuses. He also served as the legal representative for nine of ACPRA’s founding members who have been prosecuted since December 2012. Al-Shubaily has been harassed and jailed for his work since November 2013. Saudi Arabia criminalizes free speech and bans organizations that question or criticize the government, particularly human rights and political organizations. Under repressive laws, it has prosecuted almost all members of ACPRA and forced the Adala Center to shut down and prosecuted its members. The kingdom also takes action against writers and bloggers who, like Essam Koshak, use social media to disseminate views and ideas critical to the Saudi monarchy. Freedom of expression and opinion and freedom of association are among the foundational concepts of the United Nations and the Human Rights Council, enshrined in the Universal Declaration of Human Rights, and elaborated upon in the International Covenant on Civil and Political Rights (ICCPR). 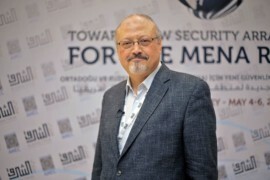 As a member of the United Nations and Human Rights Council, Saudi Arabia must demonstrate its commitment to allowing the operation of human rights defenders and activists by ratifying the ICCPR and passing and implementing national legislation that accord with international human rights principles.